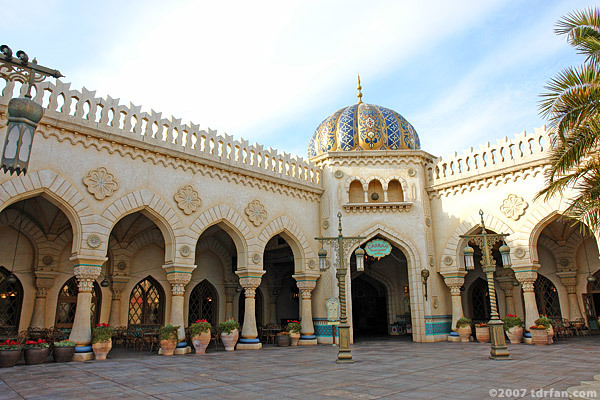 The food court format seems to be popular at Tokyo DisneySea. The Casbah Food Court offers several stalls with middle-eastern food choices like curry and tandoori chicken. I am a big fan of Indian curry and the selection here is quite good. There is plenty of seating and the atmosphere is warm and relaxing.